Beverly Hills estate find. Black, extremely soft leather Coach Legacy Bucket bag. Macy's tag inside. Serial number inside. Authenticated online. 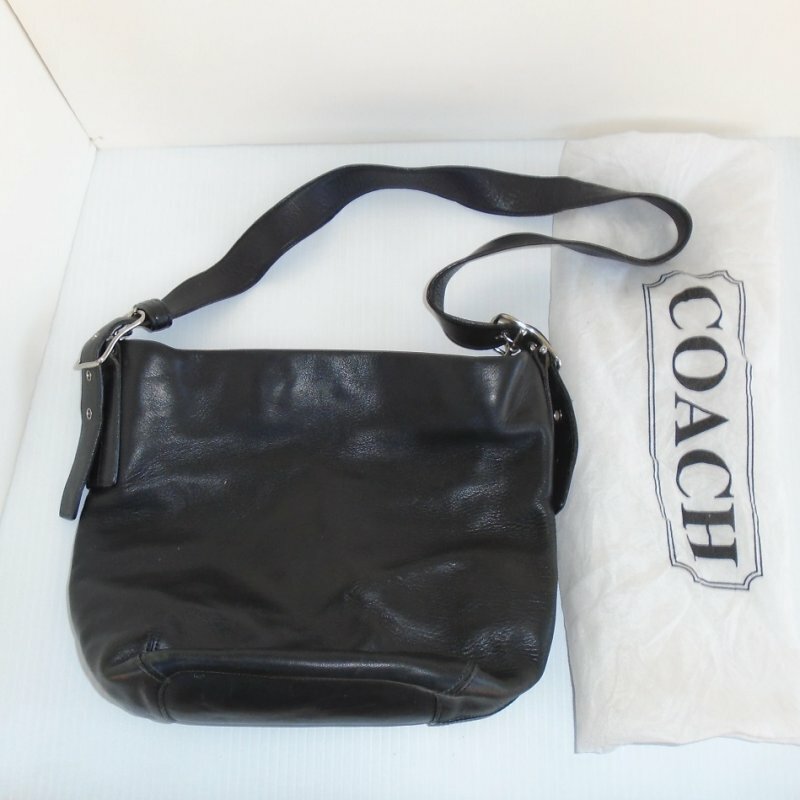 I obtained this Coach Legacy bag from an estate sale in Beverly Hills. It is a used bag, but still in very good condition. There was a Macy's tag in one of the inside pockets with a price of $115. 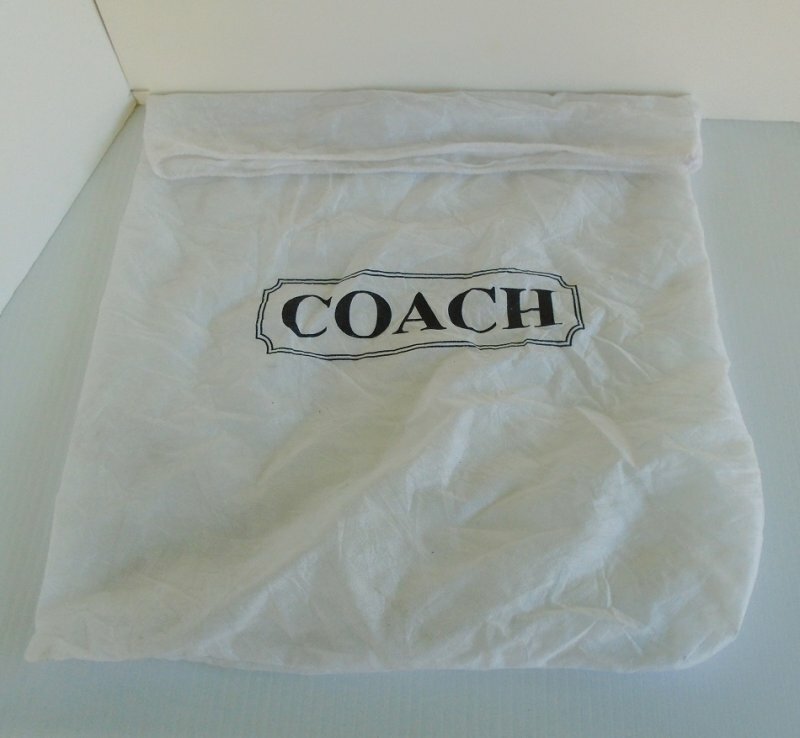 The word 'Coach" was penciled on that tag, (probably for the past owner's knowledge as to what that tag went with). I will leave that tag with the purse. The outside is an extremely soft leather. At the top is a zip top closure. 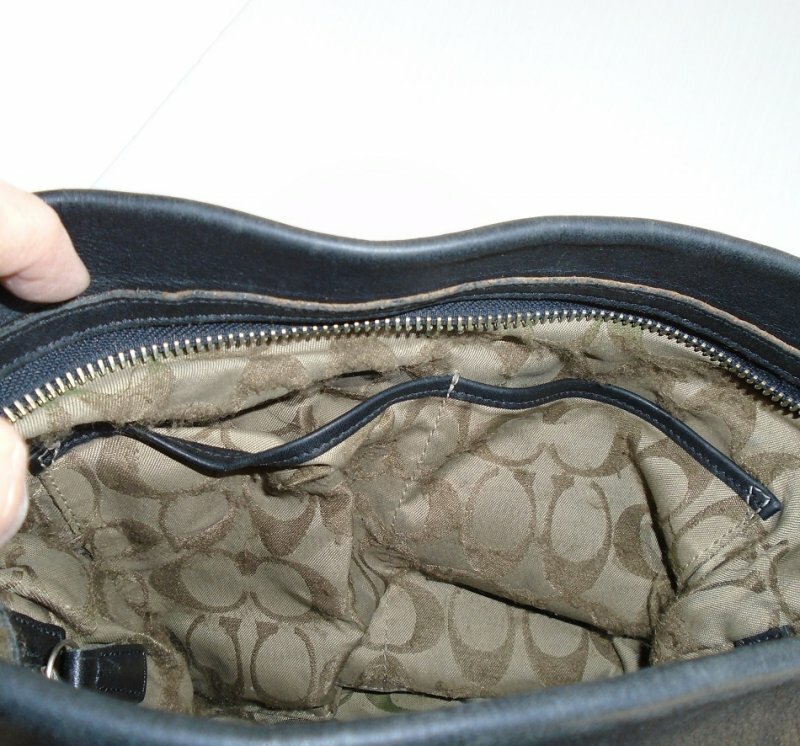 Inside is lined and has a main zippered compartment on one side and 2 slip pockets on the other side. There is also a ring inside to hang keys on. It is black in color. Purses are hard to measure, but its approx 10 inches high, 11 inches across at the top tapering to about 9 inches at the bottom. The strap has silver colored buckle hardware that is adjustable. It will come to you in an original Coach white protective cloth bag. I have complete confidence that this is an authentic Coach bag. 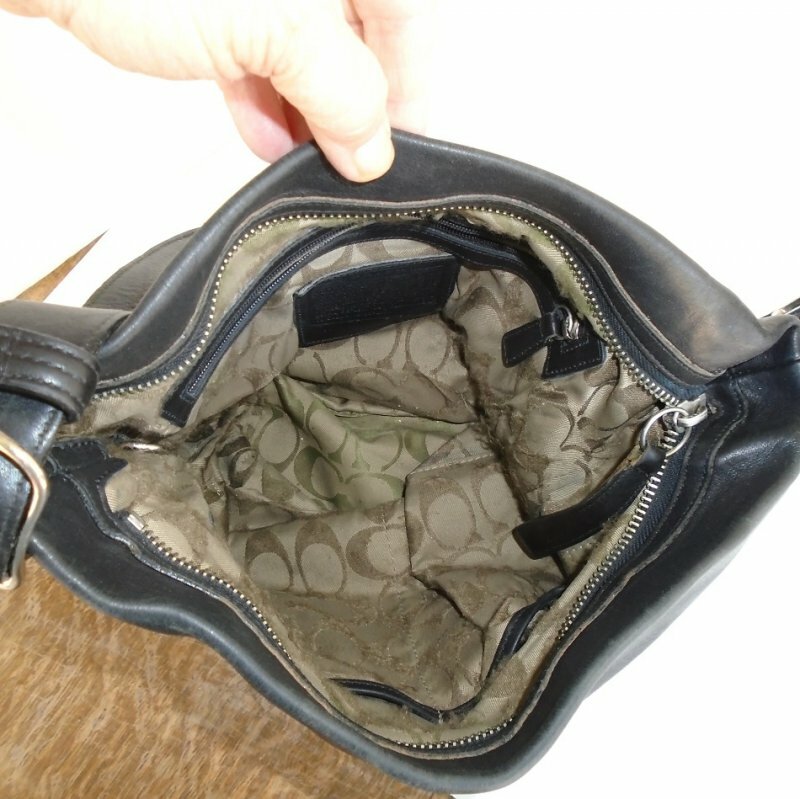 There are several websites online to authenticate Coach and I read them all and compared photos and descriptive comments. Everything they said to check for is present on this bag. 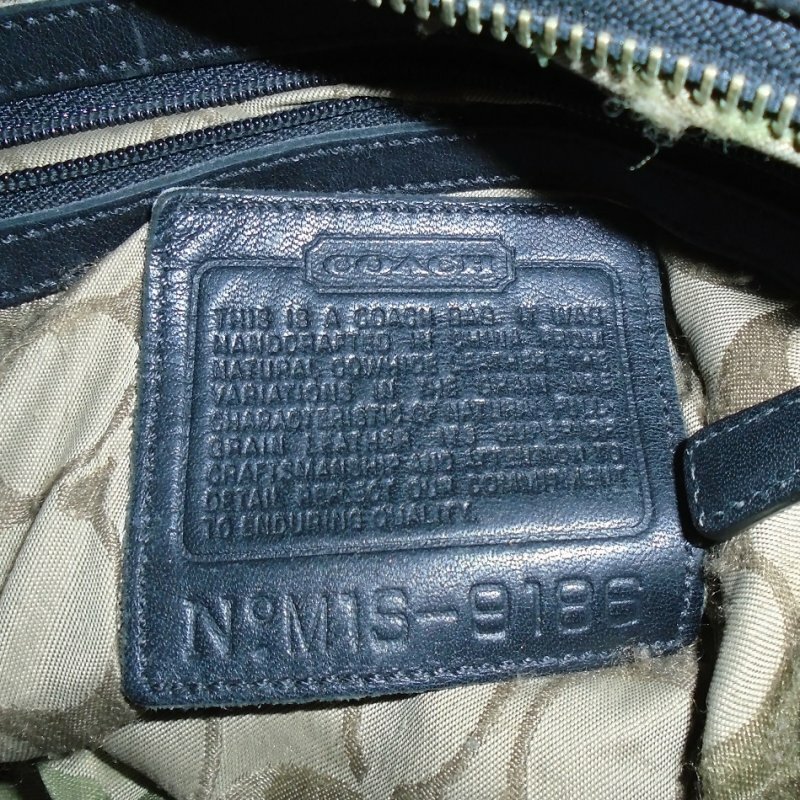 The inside has the leather tag with all the coach info and included the serial number of M1S-9186. Researching that number, I find that the 'M" was the code for the month of December, and the number '1" is the code for 1991. So, this bag was produced in December 1991. The letter 'S" designates the factory where it was made, but Coach has never released a list of factory codes. The 9186 is the model and that corresponded to 'Legacy Bucket'. When received, the buyer can certainly have it authenticated. Returns will be accepted within 5 days of original date of delivery. Seller refunds original one way shipping charges only. Google will not include items in their search pages unless a shipping charge is stated or unless calculated shipping is offered. Calculated shipping is very often quoted incorrectly so I choose to post a charge using the east coast as the destination. If you live in or near Arizona, your charges may be less and if so I will refund a portion of those charges. If you feel uncomfortable with that, just send me an email with your zipcode and I'll quote you an exact delivery charge.